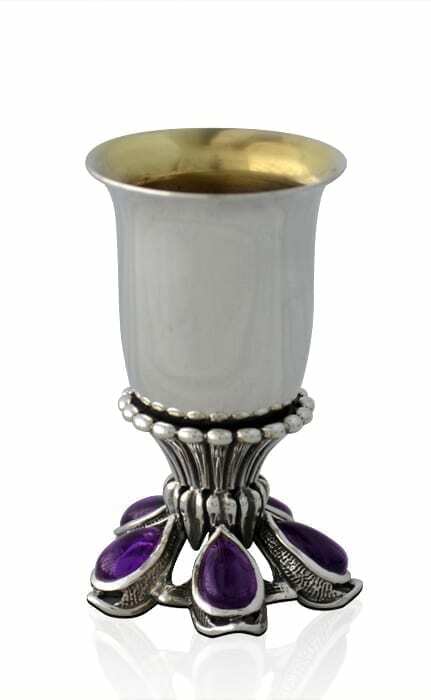 Exclusive sterling silver cup crafted in a unique hand carved technique and decorated with 5 semi precious stones. The cup is beautifully designed with a ball and ridge ring stem and semi-precious stone legs. Coated with gold inside to preserve the quality & taste of the wine.